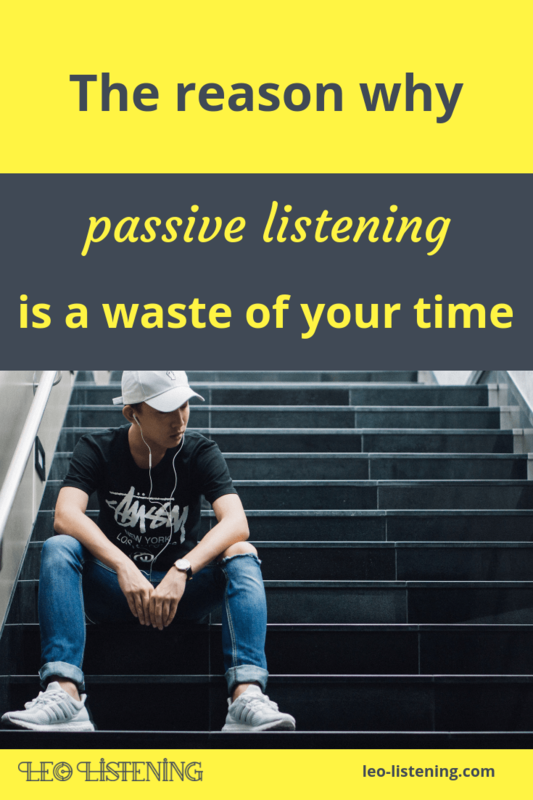 Just listen to as much English as you possibly can – practice makes perfect! I get it. These pieces of advice make sense. 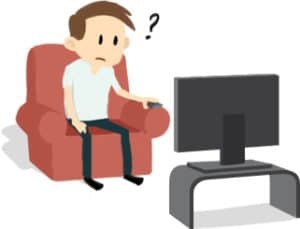 If you’re struggling to understand fast, spoken English and watch TV or movies in English without subtitles you might have tried one or more of these approaches and didn’t get the results you wanted. It’s easy to think there must be something wrong with YOU. Why is it so easy for everyone else? Nothing. No, I mean it. You aren’t doing anything wrong. And there isn’t anything WRONG with you. And there actually isn’t anything wrong with that advice. The only problem is that advice only works for SOME people but it doesn’t work for EVERYONE. This is the key difference. While other English teachers might preach the anti-subtitle and passive listening gospel as the only path to success, it’s just not true. You’ve done a lot of work. But you’re not getting any of the results. You deserve better than this. My people (that’s you) tend to do better when they do things a different way. I know you’re hard-working and committed to learning, growing and changing. When you combine that with listening techniques that work, plus your motivation to understand your favourite TV show or movie, you get to subtitle freedom faster. Why does this work for people like you? 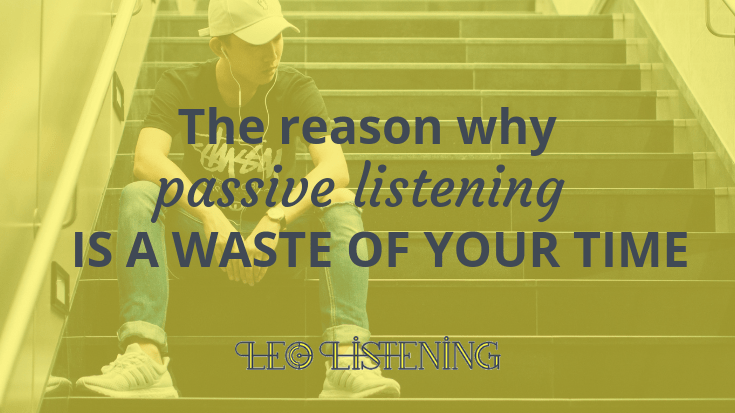 Because instead of making you “just listen” or testing your listening with useless comprehension quizzes, we focus on using the subtitles as a tool to teach you how to listen. Without the fluff like learning 1000 phrasal verbs or listening to TED talks or whatever resource is “hot” at the moment. That’s why I created Freedom From Subtitles. I’m fed up with awesome people like you struggling to understand your favourite show or movie in English without subtitles, but never getting anywhere with it and feeling bad about your English. I wanted to create something that would work for MY type of people. 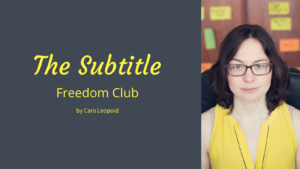 Freedom From Subtitles is a 4-week individual programme for upper-intermediate to advanced English learners who are movie or TV series fans and want to understand their favourite movie or show without the subtitles. 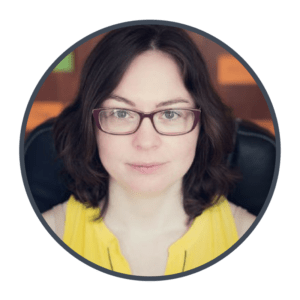 If you’d like to break free from subtitles and get ready for conversations in the real world where there are no subtitles, Freedom From Subtitles is a great place to start. Listen, you can keep doing things the way you’ve been taught. But I doubt much will change because you’ll never be the type of person those ways will work for. You’re in good company, I can’t do it either. But who wants that? Not when you can enjoy your favourite show without the subtitles, without years of passive listening or learning long lists of slang words or idioms. FINALLY. You can learn more about my Freedom From Subtitles programme here.